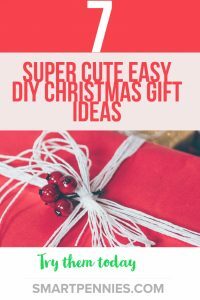 Are you looking for super cute Easy DIY Christmas gift ideas? Needing inspiration before its too late to make your gifts – ie. Christmas Eve? 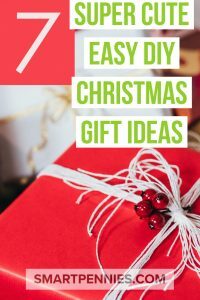 Get prepared for the season with this roundup of easy and lovely DIY Christmas gifts that you can start thinking about preparing now. Food is a great option if you can cook and prepare some gorgeous gifts for relatives and friends. Things like ingredients jars with dry ingredients to make brownies, hot chocolate or something else and all the recipient needs to do is add the liquid to the dry ingredients. This is a great wee present links into my love of handmade body care and so easy to make as well. Its similar to making lip balm as well so you could use the base change the essential oils and to ones suitable for the lips see recipe below and two presents for the price of one! First, you need to melt your base oils along with beeswax, the choice of base oils is up to you I would go with coconut oil, sweet almond or apricot kernel. If you want to buy any of these check them out on Amazon here variety of different of carrier oils all with 5 star reviews . This is a gorgeous selection of carrier oils including coconut oil, sweet almond and apricot kernel. What about this selection for under $25. If you are not sure this is the right selection for you what about having a read at some of the reviews they are 83% 5 star reviews check them out here. Amazon also has a variety of beeswax pellets and you can find only the top choices from this page. Again one of the top choices on Amazon is this one. When you read some of the reviews they do mention the smell some people say its nice and others disagree you can read this for yourself under the 5 star reviews if you want to investigate further before you make a decision. https://thethingswellmake.com/diy-easy-solid-perfume/ shows you how to make it which is really very simple. You could have a combo of Rose essential oil Palma Rose and Rose geranium for a lovely flowerly scent or use the combo of citrusy blends recommended in the above link on how to make it. If you are looking for essential oils then Amrita has a lovely range of essential oils to choose from. This is another gorgeous present for family and friends and you don’t even need to go to the trouble of starting from scratch you can actually buy pure soap base and melt it down and add your own colours and scents to make gorgeous handmade soap with the added bonus that you don’t need to cure it. If you want more information about soap making then check my post out. Melt and pour soap isn’t technically cold-processed soap it has glycerin in it to help with keeping the consistency when you melt it down but it still allows you to do wonderful things with it to recreate scents and beautiful coloured soaps. 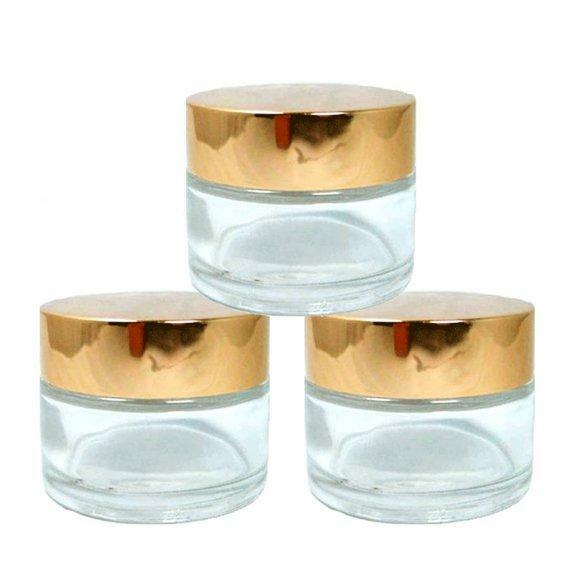 I would try a soap base that has a good quantity of lovely oils in it like the Castille soap base Amazon have a great variety of different Castille soap bases for you to have a look at. This Castille soap base on Amazon an Amazon’s Choice and at under $15 it’s a great option for 12lbs. And if you are concerned about the palm oil it is used from sustainable sources and doesn’t contain SLS. I love using essential oils and my go-to essential oils are from Plant therapy or Mountain rose herb and Amazon is the easiest to find them all in one go click the image below to get taken to Amazon for more details. This set of 14 Plant therapy starter packs but if you are not sure then they have a selection of essential oils on Amazon for under $50. Another great company to look at is Mountain Rose Herb is one of the best essential oil companies in the US. If you are looking for a great one in the Uk my top for wholesale and retail is Amphora aromatics. They have a great selection of essential oils to choose from. 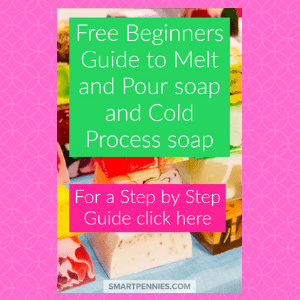 If you are needing a tutorial on using Melt and Pour soap bases then my go-to guide would be with thesprucecrafts for their excellent tutorial on making melt and pour soaps. Have fun adding Micas or Soap dyes to your soaps and combining gorgeous scents based on what friends or family may like. If you are looking for powders Amazon has a huge selection again a great source to try. Selection of Mica powders for Bath bombs only the best options for under $30. And to get you started here are 5 cute recipes which you can try with your own soap bases. Five Melt & Pour Soap Designs to Try! 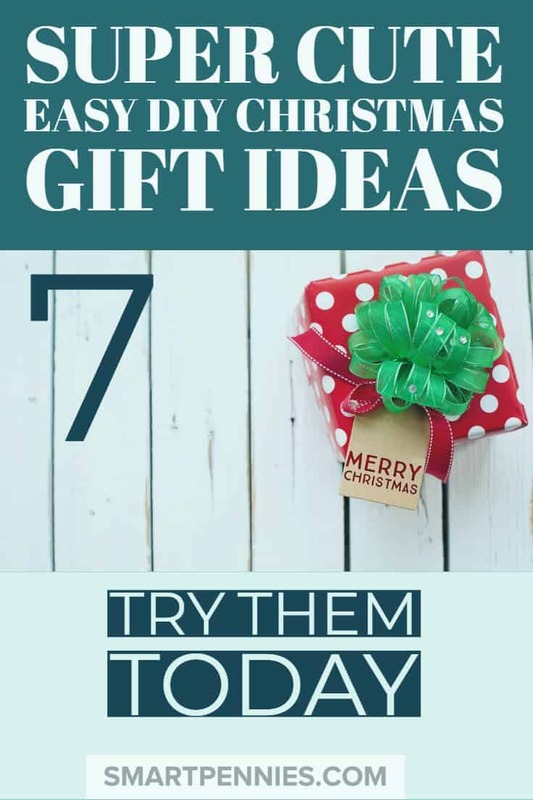 These are great presents for family or friends old or young. Firstly you need to get a hold of glue dots – yep I hadn’t heard of them either. Click on the image to get more information on these wee beauties. Sticky tape won’t hold things together and your handy glue gun runs the risk of melting all your chocolate goodies. So Glue dots are your go-to resource for this job. 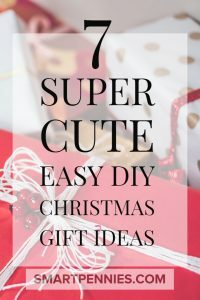 Next on the list is Christmas wrapping paper super cute of course and most importantly Candy canes – there are so many flavours it may be difficult choosing. Have a variety of different size bars of sweeties – Cadburys chocolate, kit kat standard bar will do great for the base then stick the candy canes to the base size chocolate bars to make the base of the sleigh using the glue dots then add a couple of tiers of smaller chocolate bars to build up the sleigh. Once they are all assembled using the ribbon to wrap around the whole thing and add a bow to the top. Who wouldn’t love this present in their stocking this Christmas? Did you know this was a thing! Me neither didn’t realize you could make playdough especially if you know what goes into it and its non-toxic and safe for your kiddies to play with. 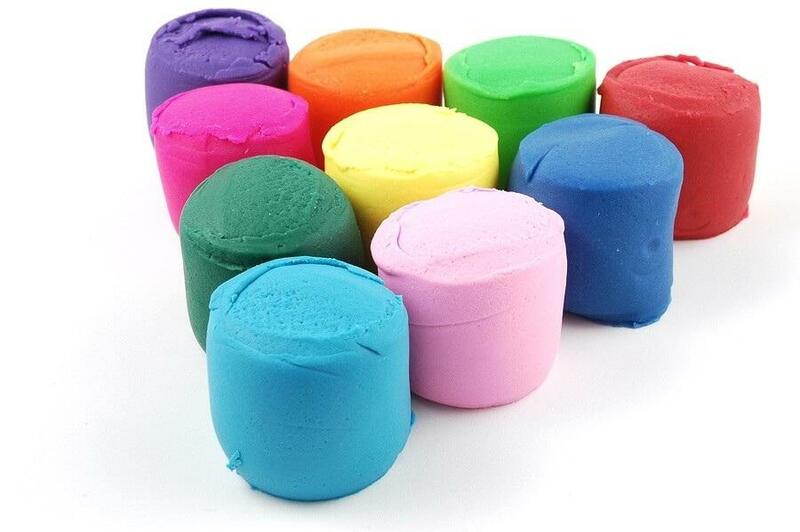 Here are six recipes for homemade natural play dough. Wow, some of these use oatmeal or peanut butter! Cooked raw eaten or not these six recipes will have you reaching for the mixing bowl. If you fancy giving this a try as presents for little ones here are the recipes LINK. Amazon has them on sale click out on the image for more details. 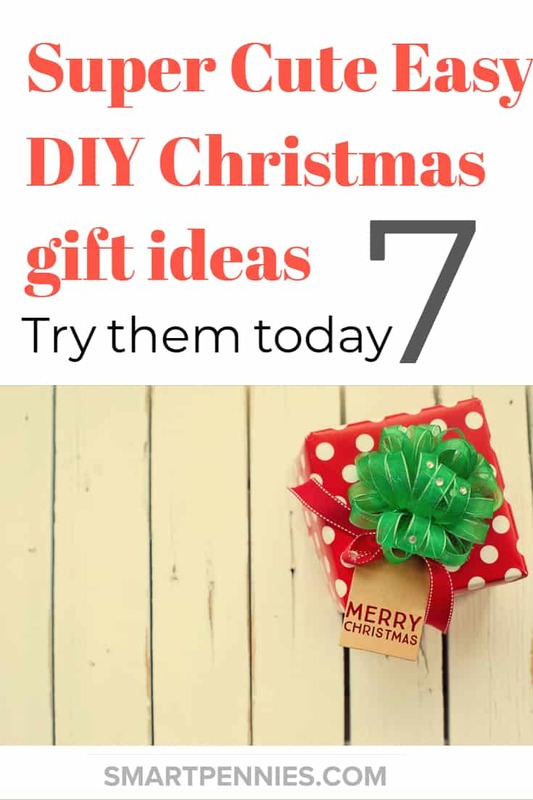 What to do is get baking utensils that would fit in the oven gloves and wrap the gloves and utensils up with a bow no need for wrapping paper and an ideal present for the baker in the family. This is so easy and soo cute – it’s gorgeous. 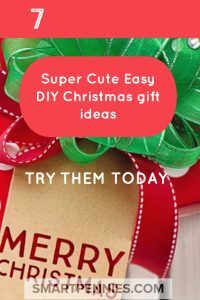 Great for kids to help make as gifts. Red hot candy and pretzel sticks use a silicone lined tray or wax paper. Now the fun bit melt the chocolate in a double boiler, cut Reese’s pieces off center to make the hat and spread the chocolate onto the paper or silicone spread out and add your snowman decorations and voila done! Cut with a knife once firm after being in the fridge. 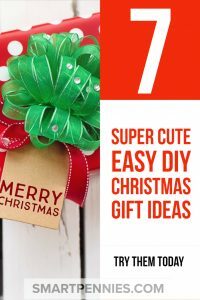 I hope you enjoyed that run through of 7 super cute Easy DIY Christmas gift ideas.